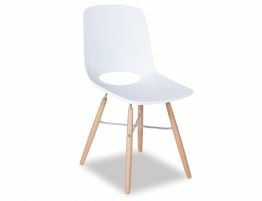 Bring this fresh, contemporary orange café chair into your space be it your kitchen, contemporary dining area or even your café or restaurant. 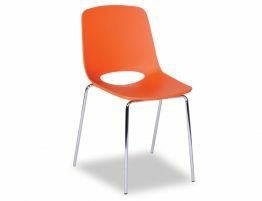 Add a pop of bold orange to your space and put this modern orange plastic chair in a bedroom, kitchen or office workspace or desk. The Wasowsky orange dining chair is offered in a multitude of colour choices and base styles to help you find your perfect chair. 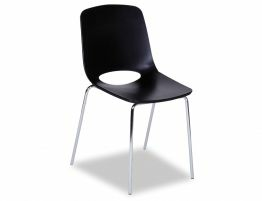 This chair features an orange moulded polymer seat and a steel sled style base in your choice of chrome, black or white powdercoat durable finishes. 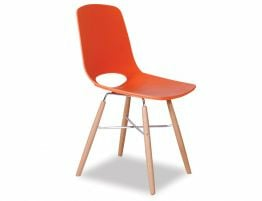 The right modern orange chair can add something unique and personal to your space. 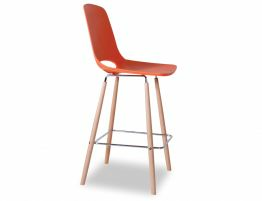 In orange, the contemporary Wasowsky dining chair is bold, bright and energetic. 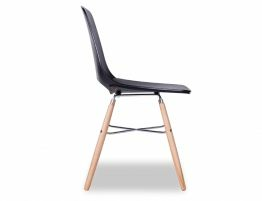 Shop the Wasowsky modern chair line to see the full range of dining chair, café chair and task chair options including other colour and chair base styles.